This 4-hour hands-on easy-to-follow massage workshop will cover everything from back-neck-shoulder massage while lying in bed, hand and foot massage while watching Netflix on the couch, head-scalp-face massage while chilling by the fireplace. We will have a lot of fun while learning and relaxing at the same time. We will show you how to use your hands, forearms, and fingers the right way, together with your body weight to create the perfect combination of soothing-feel good massage strokes. We will then combine it all together to create a simple yet complete series of massage techniques. You will then practice massage on your partner/friend so you can truly discover and communicate the power of touch with one another. Not to worry, we will be with you every step of the way. At the end of the workshop, we will make sure you are confident to use your new superpower and a complimentary massage oil so you can continue perfecting your new skill. No prior knowledge is needed to register for this course. We will be with you every step of the way, you’ve got nothing worry. 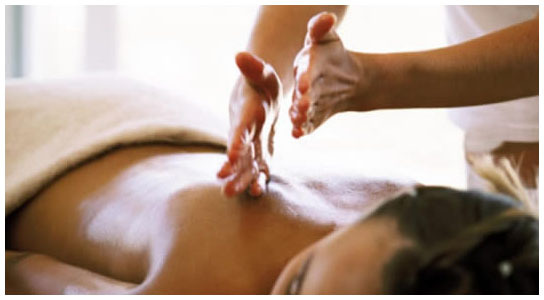 • What essential oils to use to amplify and increase benefits of massage. The goal is for you to be able to confidently perform basic massage techniques without hurting your thumbs and wrists.